Me VS. The Sugar...: I thought oats were my friends! 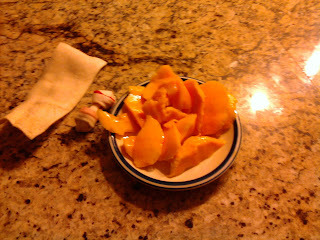 I have tons of fresh fruit in the house, tons! There will be no need to resort to the frozen blueberries for the rest of the week, so today I had a yogurt & strawberry smoothie for my pre-swimming snack. Somehow, I still managed to get out of the house 10 minutes later than I wanted to. Arghhh!!!! After my swim, I had the steel-cut outs I made the night before. Making these oats was a struggle, let me tell ya. My first try was in the microwave, but they didn't even seem to be cooked properly so I searched on the net and found this great site. That, however, resulted in a burnt pan and it all had to be thrown out. 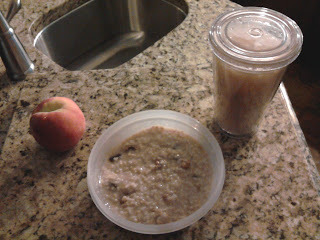 Normally, I would have given up, but I have no regular oatmeal in the house so I had to try again. Luckily, I was successful on the third try! 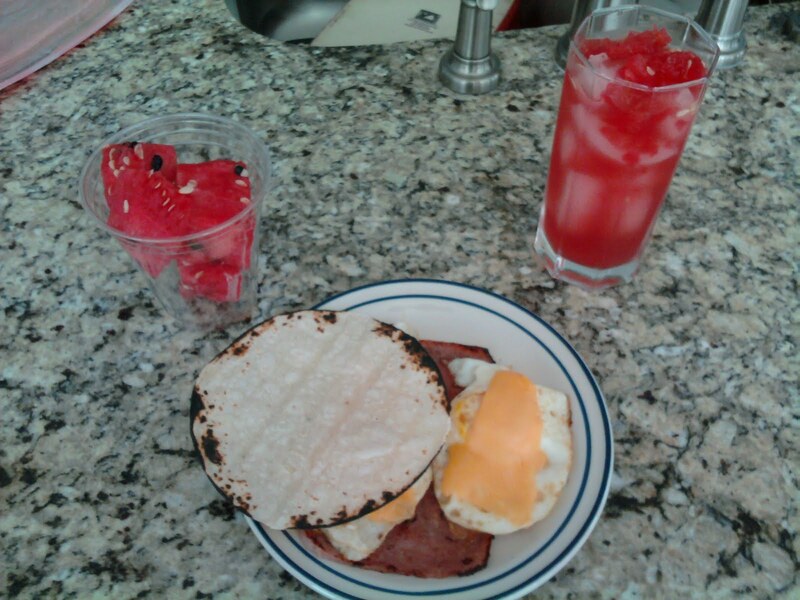 For lunch, I had my yummy eggs with cheese, ham and a couple of tortillas. I topped it off with some of that thirst-quenching watermelon water and I couldn't resist having some watermelon as well. I usually try to have snacks that aren't too noisy at the office, since I work in a room with 20 other people and we all sit in half-cubes. However, I needed to get some veggies in today and so I had my carrots and cucumbers with a piece of bread and some leftover barbecue chicken. 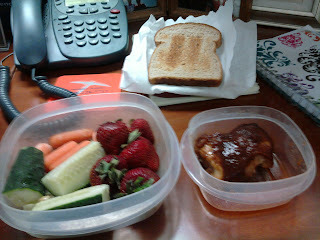 I had some fresh strawberries as well, yum! BACON!!! Today's dinner was a recipe I modified that I got from the back of a spaghetti box. 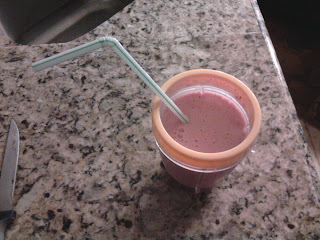 It is so simple to make and very tasty too!!! 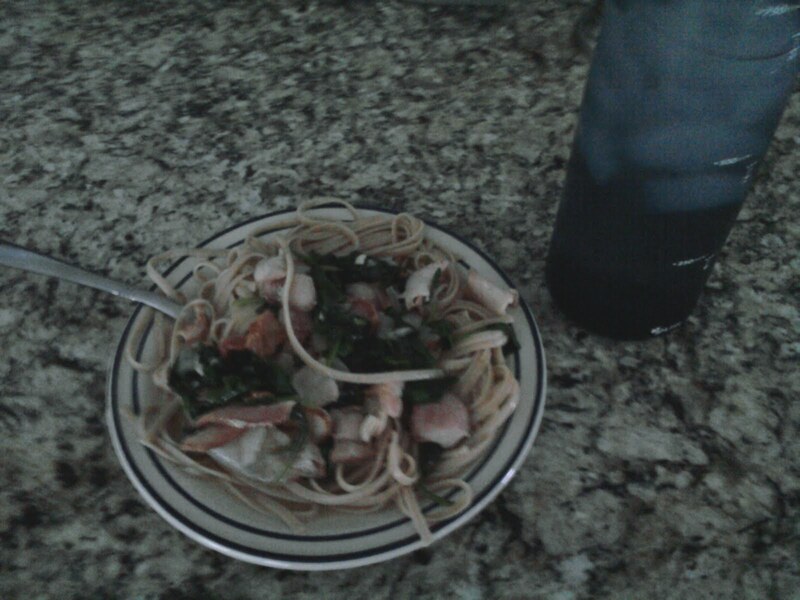 It's basically sauteed bacon (minus the bacon fat) and onions with a broth made of the pasta water, chicken broth seasoning and fresh spinach. With the broth, it's almost like a spaghetti soup and I enjoyed every last bite of it! 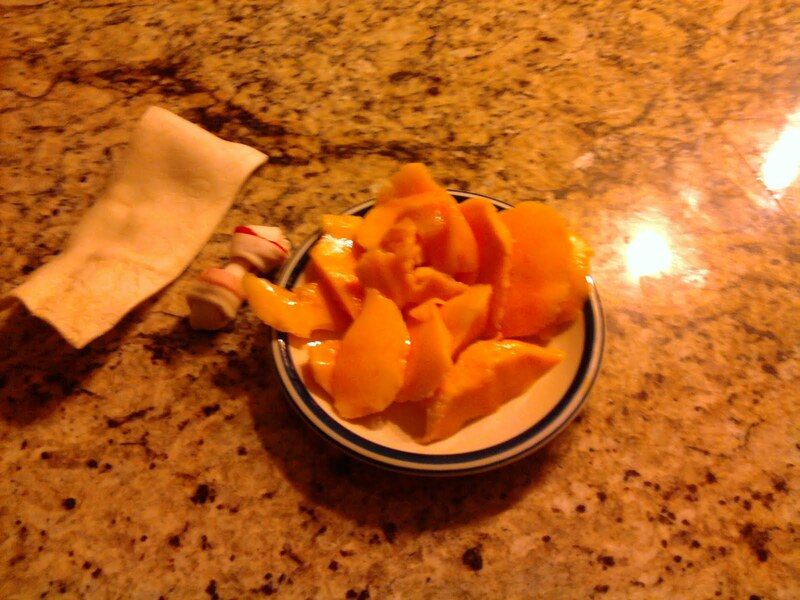 Can't go wrong with mango and a side of raw-hides. No, those aren't for me! Just because they're doggies doesn't mean they shouldn't also partake in dessert! I haven't done any yet, but I'm planning to as soon as I finish typing this up!